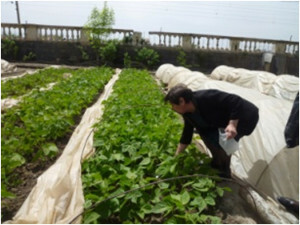 Project objectives: With the goal to contribute to SAICM implementation in Armenia, the project had two objectives: (1) investigate agricultural plots (soil and grown products) in 5 rural communities on the matter of contamination by pesticides; (2) increase awareness of relevant stakeholders in the risk to the human health posed by pesticides as Endocrine Disrupting Chemicals. Project Outcomes: Two sets of activities were implemented including a survey of community members on POPs and awareness raising. The laboratory analyses showed that in 11 out of 25 soil and product samples the residues of DDT and its metabolites exceeded the maximum acceptable concentrations and varied within the range of 0,17 mg/lg and 2,48 mg/kg. 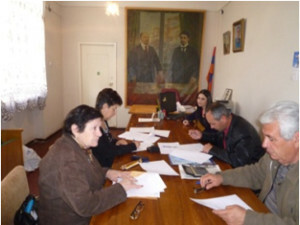 The project results were presented at a national round table discussion receiving good media coverage. 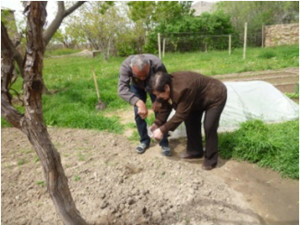 Due to the complexity of the EDC issue and insufficient scientific data for Armenia it was very important to look at the issue of EDCs in well-defined context, such as pesticides.